Saginaw Bay perch fishing was very slow at Eagle Bay Marina and off Palmer Road. When boats could get out of Linwood Beach Marina, they caught walleye when trolling Husky Jerks in 21 feet. The key was trolling along the edge of the stained water. 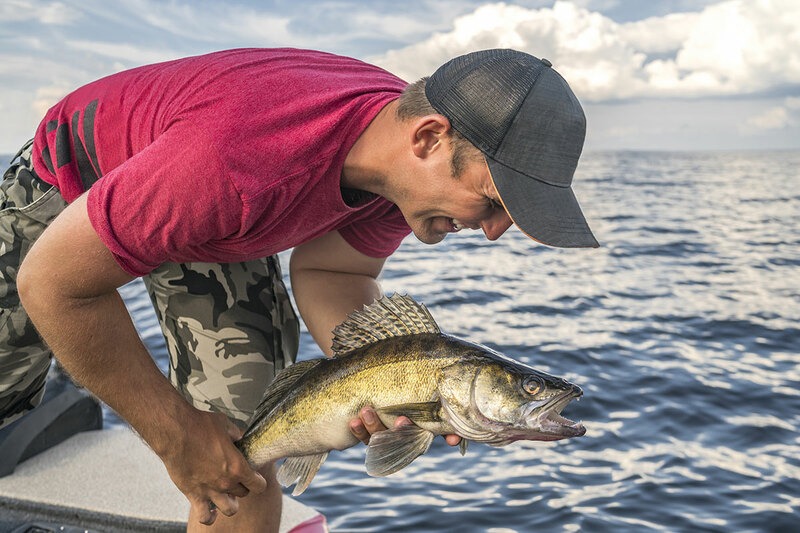 Walleye were also caught in the Old Shipping Channel and near the Spoils Island when trolling or vertical jigging. Perch fishing slowed, but a few limit catches were taken out near Buoy-22 in the Shipping Channel. 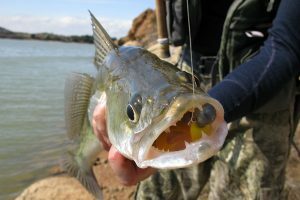 The size of the fish caught has declined with most only 8 to 9 inches. Shore fishing for perch at Finn Road, the Quanicassee River, the various cuts near Fish Point and the Sebewaing River was slow. Fishing was slow at Bay Port, Mud Creek and Caseville. Warmer weather is needed to get the fish going. 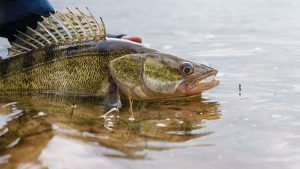 Saginaw River perch action slowed quite a bit; however, some fish were still caught in the lower river between the Patterson Road ramp and the Karn-Weadok Plant. Au Gres Area of Saginaw Bay only a couple boats ventured out, and they caught a fairly good number of post-spawn northern pike and a couple walleye out from the river mouth. 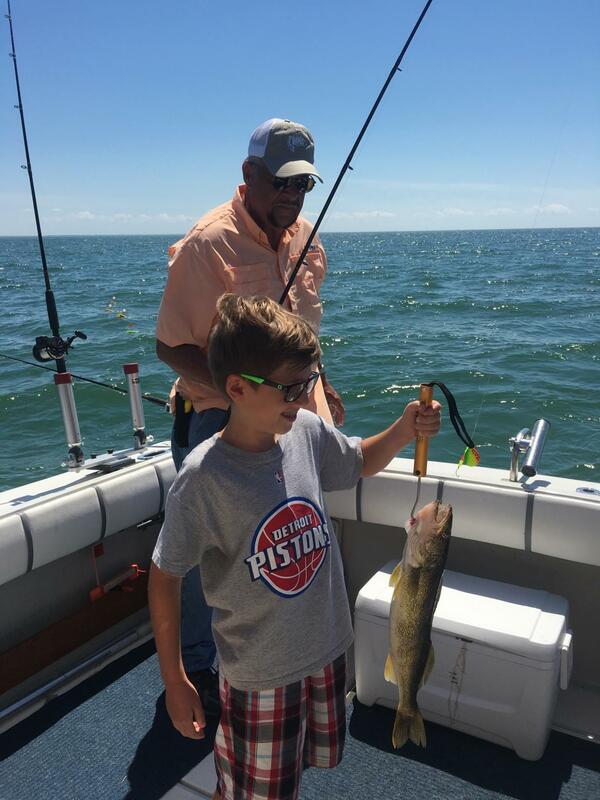 They also took some walleye and lake trout between Point Lookout and Pointe Au Gres. Perch fishing was slow at the mouth of the Pine River. Au Gres River down at Singing Bridge (Whitney Drain), steelhead anglers were doing well in both the lower river and in the surf. They were either drifting spawn or wax worms down the river or still-fishing with floating spawn sacks in the surf. A few anglers dragging small boats across the beach and launching to fish just off the river mouth were getting some steelhead, lake trout and coho close to shore. Rifle River sucker fishing is ongoing at Omer, but the run slowed with the colder weather. Warmer weather later this week might get something going. 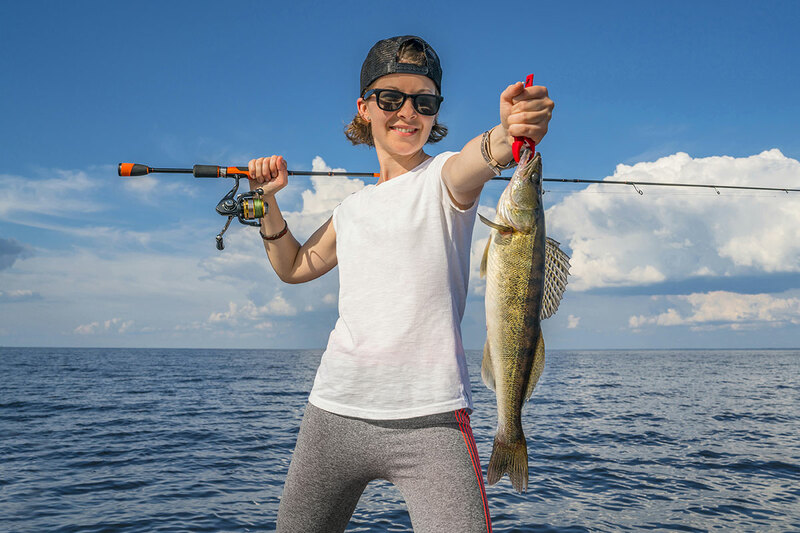 Oscoda pier anglers caught a couple walleye and the occasional Atlantic salmon, steelhead or lake trout when still-fishing with minnows and spawn bags or when casting deep diving or sinking crank baits. Au Sable River Steelhead were caught by anglers drifting or floating wax worms, flies and spawn bags through the holes. River temperatures were hovering around 39 degrees, and the water is very clear, so winter tactics continue to produce best. Some fresh fish entered the river, and a fair amount of black stone flies were emerging. 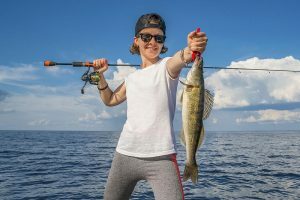 Tawas Area pier fishing was slow, with only one Atlantic and a couple lake trout or walleye caught.